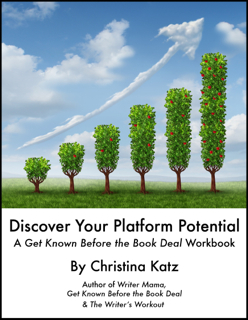 An Eight-chapter Companion Workbook for Get Known Before The Book Deal, Use Your Personal Strengths To Grow An Author Platform also by Christina Katz. Finish the workbook in eight weeks, eight days, or eight hours! It’s up to you.